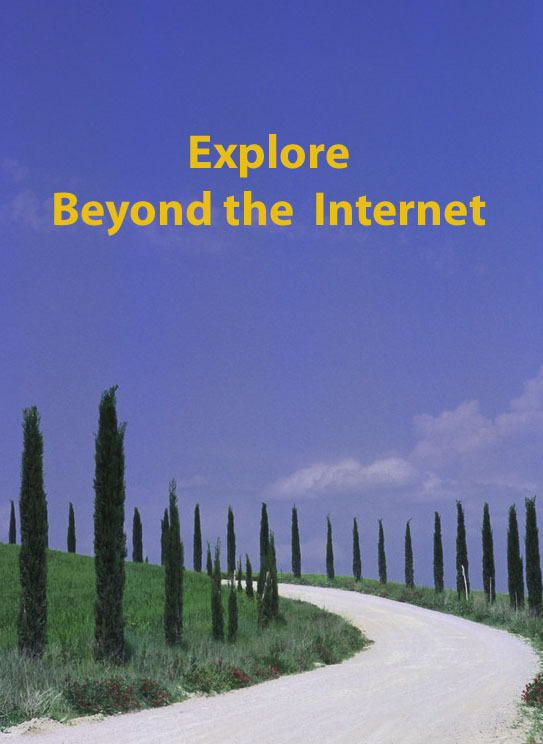 This is Week 40 in my Beyond the Internet series in which I explore the sources of information beyond our computer screens. The topic this week is Immigration records. This post has become almost as long as the sailing voyage to Australia, but it’s such an important part of our research that I hope you’ll persevere to the end. Imagine you’ve bought your suit of clothes, your sea trunk is packed, you’ve waved goodbye amid the tears. All that remains is the long weeks on board that sailing ship. Courage, determination and perseverance are required. The United Kingdom, the United States, Canada, Australia, New Zealand, South Africa and South America all fit the bill for being migrant-attracting places: somewhere which offers, or is perceived to offer, better or different life opportunities. Ireland shouldn’t be ignored either, as people came and went “across the pond” to north America in particular. It’s easy to see that at some point you’re likely to come across an ancestor who is not native to the place where they lived for many years. Many of us Down Under could be called ethnic Heinz 57s as a mix of all sorts of nationalities have formed our gene pool and family tree. I’m quite proud of being a genuine Aussie mongrel with Irish, Scottish, English, German, and maybe some Welsh, ancestry. Once our path leads us back to our “original” ancestor in this country (whichever one that is), it’s safe to assume that most of us will try to pin down how they arrived here, whether they were sponsored by government or friends. The increasing digitisation and indexing of records is certainly making it easier to search for our ancestors’ immigration records. But the risk is that it stops with the name of the ship. So what next? What you’ll find will very much depend on the country of immigration and the time-frame of the migration. There’s not a lot you can do about this, you have to work within the parameters you’ve got. I’m going to focus on Australia simply because that’s what I know most about, and in particular the eastern states. Most of the records you’ll be looking at will be those for assisted passengers, those who arrived thanks to government sponsored schemes to boost our population. Some schemes required the immigrant to work under contract for a fixed period. Unassisted passengers are much less likely to appear though there are some records. At some periods immigrants were entitled to a land grant in exchange for completing various conditions, so you should also follow that up. In summary, once you’ve discovered your ancestor’s immigration, you need to do the background reading to learn more about the conditions of their migration. 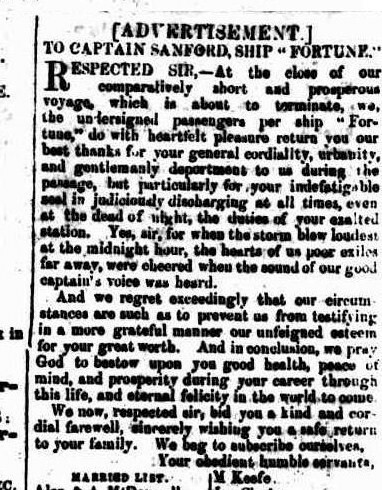 The letter of thanks from the passengers of the Fortune to Captain Sanford. 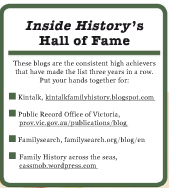 Interestingly the Gavins are not on this list, though my other ancestor, William Partridge is. For early Australia immigrants many of us will start with the State Records of NSW (SRNSW) immigration indexes as in the early days of Victoria and Queensland they were part of New South Wales. SRNSW has a good summary here. They have also digitised the indexes to the Assisted Immigrants Passenger Lists together with images of the registers. 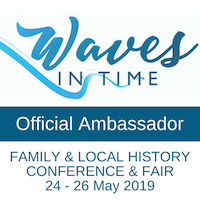 This is a great innovation and definitely to be appreciated BUT if you stop there you are missing out on the chance to learn more about your ancestors. GAVIN, Denis 23, ag lab, born Kildare, RC, neither reads nor writes. GAVIN, Denis, 23, farm labourer, Kildare, Parents Denis and Mary, mother living in Kildare (ie father dead), RC, neither reads nor writes. Complains that the captain accused him being the doctor’s spy, substantiated..
GAVIN, Mary, 2, born Dublin, neither. Now I ask you which of these would you like to have for your family research? If you haven’t already done so, head out to look at the old-fashioned microfilm in a reference library or archive near you. Languishing in the doldrums and making little headway. The sailing ship Peru on which some of the Dorfprozelten emigrants arrived. Image from the National Maritime Museum, no known copyright issues. 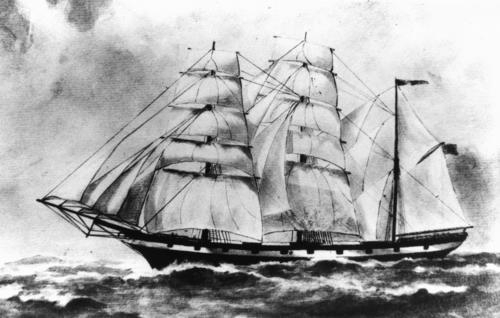 References to the Germans on the Bounty Lists are, if anything, more helpful as they were poorly treated in terms of food and cleanliness in comparison with the British ships which had learned from the years of convict transportation, so there are often complaints about the voyage, as well as a higher mortality rate. Another trap lies with the German immigrants’ references to parents’s names where the parents are reported in the German manner where the father’s name is often not stated because the woman is referred to by her maiden name. This leads to potential confusion in the migration records. For example Juliana Diflo’s parents are reported as “John and Cath Kirchgessner, both dead”. In fact her maiden name was Löhr and her parents were Johann Löhr and Catherine Kirchgessner. A researcher trying to find her baptism would be looking for Kirchgessner when they should be searching for Löhr, which was only discovered by a careful analysis of the Dorfprozelten local history. Similarly, the wife of John Hock was called Rosina on arrival but later Clara. The immigration lists record her parents as ” Nicholas and Margaretha Kuhn”. In fact her parents were Nicholas Günzer and Maria Anna Kuhn. After weeks at sea, you’re wondering if this migration lark really was a good idea. When looking for your ancestor don’t just give up when you’ve found them in that shipping list. Do check for others with the same name and see whether the parents’ names reveal a relationship. As young men and women were listed separately from their families, because they were assisted passengers in their own right, you may find the family in quite different parts of the shipping list. For example, my Kent family are split into four on the one manifest: parents Richard and Mary, and their son Richard, his wife and infant daughters, are among the family groupings, while daughter Hannah and sons Thomas and John appear under the “Single Females/Single Males” categories. With Irish migration it’s quite common to find single women seemingly travelling alone, but look closely and you’ll find others from the same village or townland or perhaps even cousins. 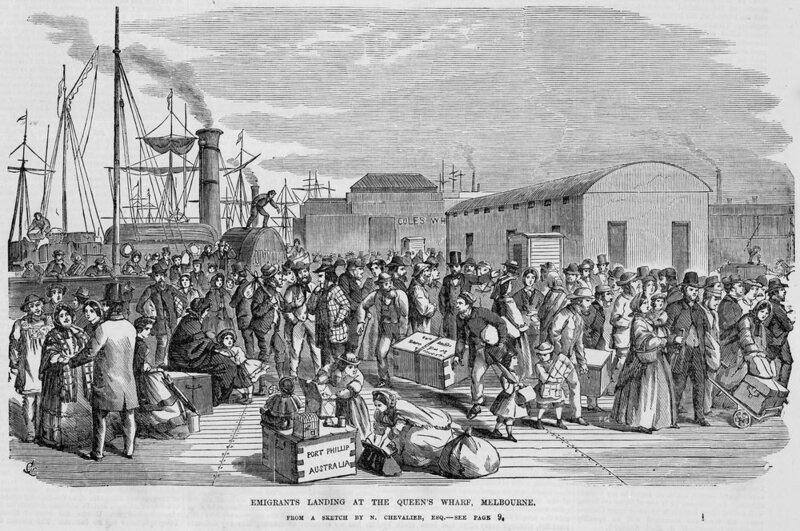 Emigrants landing at Queens Wharf Melbourne. Image IAN25/08/63/1, State Library of Victoria, copyright expired. Are you aware that these records might exist for your ancestor’s ship? I certainly wasn’t for a long time until I was clued up by one of Richard Reid’s articles[i] (see the Visible Immigrants series on the reading list below). If they exist, you really want to pursue the Surgeon’s Disposal Lists which document where passengers went on leaving the ship, either to an employer or relative; the Memorandum of Agreement they may have signed with their employer; or Matron’s Diaries, which can be invaluable for learning more about the voyage and your ancestor’s experience on board ship. For example, did they take the opportunity to attend school classes. Or were they occupied in some form of needlework: just think of those women on the Rajah stitching up the quilt. I found all of these particularly helpful in my broader East Clare Irish research, especially for the 1860s. 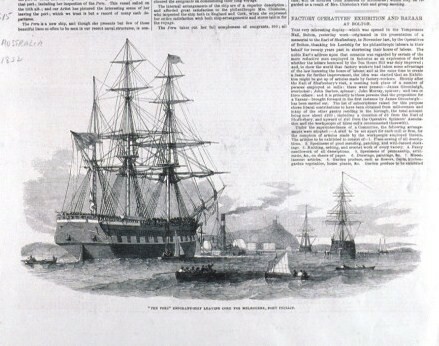 Emigrant prior to and after departure. State Library of Victoria Image H40398, out of copyright. You may wish to look at this SRNSW link to see if any of these documents exist as they are by no means universally available. The documents are only available at Kingswood and if you have difficulty I suggest you talk to an archivist while you’re there. As many ships came via Port Philip in the early days I’ll often cross-refer to the Victorian PROV indexes for shipping. If you do this you need to remember that a person who is an assisted immigrant to NSW will be unassisted to Victoria, as the colony of Victoria is not paying for their voyage costs. I’ve found the comparison on information to be invaluable on many occasions as it turns up additional (sometimes contradictory) information. You’ve just about reached the trade winds so your voyage is speeding up. As is more common these days, the population reached a point where it became possible to devolve responsibility to family and friends to encourage chain migration. This opens up further points for exploration. My McCorkindale great-grandmother and her son appear in the Queensland indexes but to this day, her adult daughters do not. I came across their record cards entirely felicitously one day back when the archives were at Boggo Rd: the card drawer was just sitting on the bench and I decided to have a snoop, and there they were! Perhaps the cards had been used by Judy Webster or Shauna Hicks, both long-time Queensland researchers. New from Australia, George Baxter. Image from State Library of Victoria Image H97.42/2, out of copyright. One of the goldmine resources for NSW is the Immigration Deposit Journals which list deposits paid for family members or friends to emigrate. These have been indexed by Pastkeys (check out their other indexes) and are now available via Ancestry. Sure this makes for easy searching, so why bother to look at the original microfilms? In my own case, without winding my way through the film I would never have noticed just how many deposits mentioned the parish priest of Broadford, Co Clare or how many times the one depositor is mentioned, which led me down another research path. 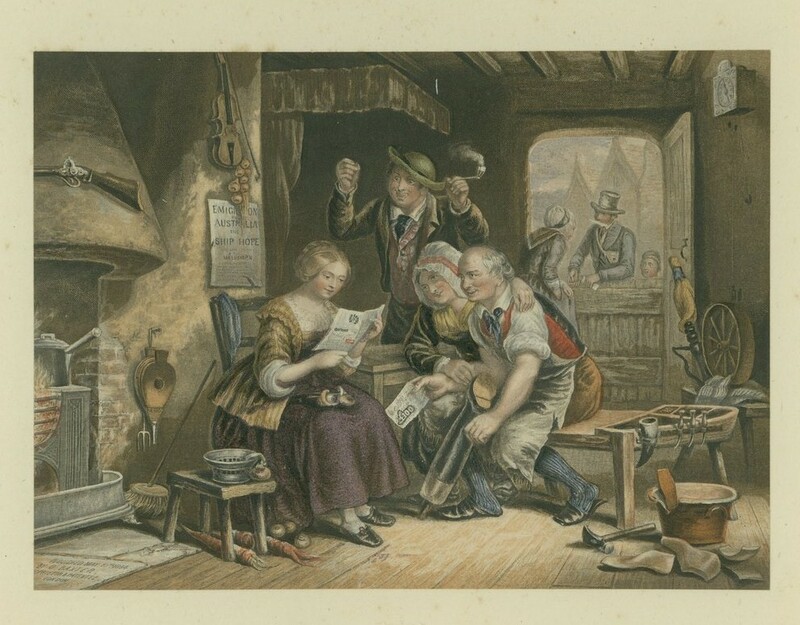 This revealed what was likely a scam to ensure as many willing emigrants could emigrate as wished to and was particularly prevalent during the years of the American Civil War. If I had simply been able to find my Mary O’Brien without trawling all the O’Briens it’s likely I’d never have found this out. Mind you, as I later learned from his thesis, Richard Reid had trodden this path before me, but even so it was a fascinating discovery. You can see land for the first time in weeks, you have butterflies in your tummy as you get ready for the voyage to end. Here are some quick final suggestions. For the wide variety of immigration research possibilities, you might find this page of links on Cora Web’s site to be invaluable. Migration Museums such as those in Melbourne or Adelaide can provide wonderful insights to the migration experience (for example on a recent trip we saw a photograph of the immigration depot where my husband’s ancestor died. Newspapers: for stories on the voyage, which ships they “spoke”[ii] and the weather conditions. Have a look at what cargo they carried, and see whether the captain or surgeon was sent a letter of commendation by the passengers. Diaries: check whether there any diaries from the voyage in your local reference library. Commemoration Walls such as the Welcome Wall on Sydney Harbour. 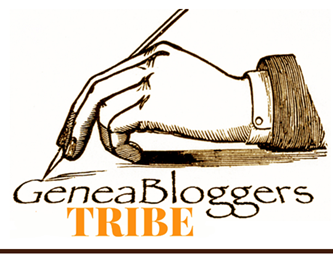 Books: see my “best of” list at the very end of this post (cheeky to add my own articles I know). You really do have to squeeze every bit of juice you can out of all these records to build up a rounded story of your ancestor’s migration. In-depth migration research can be hard work but it will richly repay you with stories for your family history. In case you’re feeling frustrated in your migration search, you’re not alone. Don’t forget that it’s not impossible that they came in lieu of someone else and travelled under a different name. After 26 years I still haven’t been able to find the migration records, of any sort, for my George Kunkel and his future wife Mary O’Brien or her sister Bridget and husband John Widdup. But I believe that it’s been the pursuit of their story that’s taken me well beyond my own ancestral migration stories, so ultimately it’s been a great learning opportunity. The voyage is over, now your new life begins. Ances-Tree: the journal of the Burwood and District Family History society. Articles by Jenny Paterson on the German emigrant ships: excellently researched, informative, fantastic! You must read these if you have mid-19th century German immigrants to Australia. 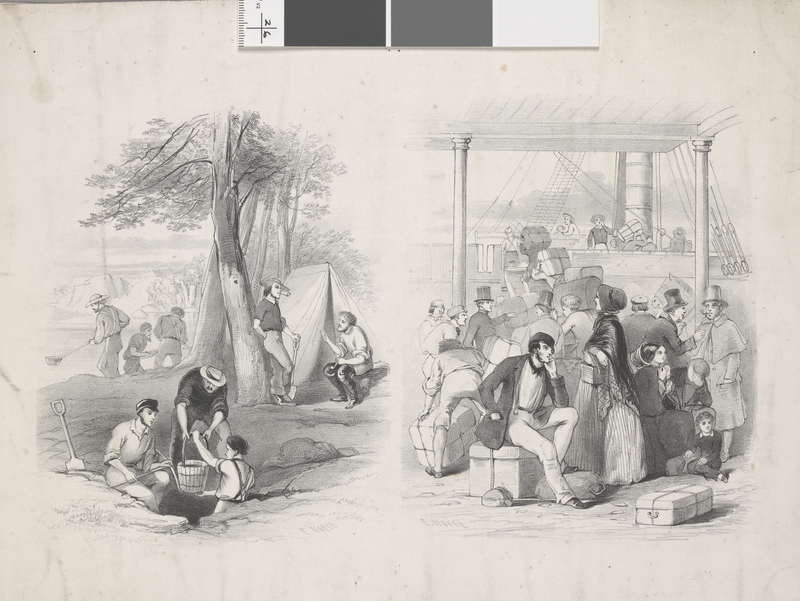 Emigration and the Labouring Poor: Australian Recruitment in Britain and Ireland 1831-1860. Haines, R, St Martins Press, Basingstoke, 1997. From East Clare to Eastern Australia: the Parish Priest, the Middle Men and the Emigrants. Cass, P. Published in the Proceedings of the 11th Australasian Congress on Genealogy & Heraldry, Darwin, 2006. 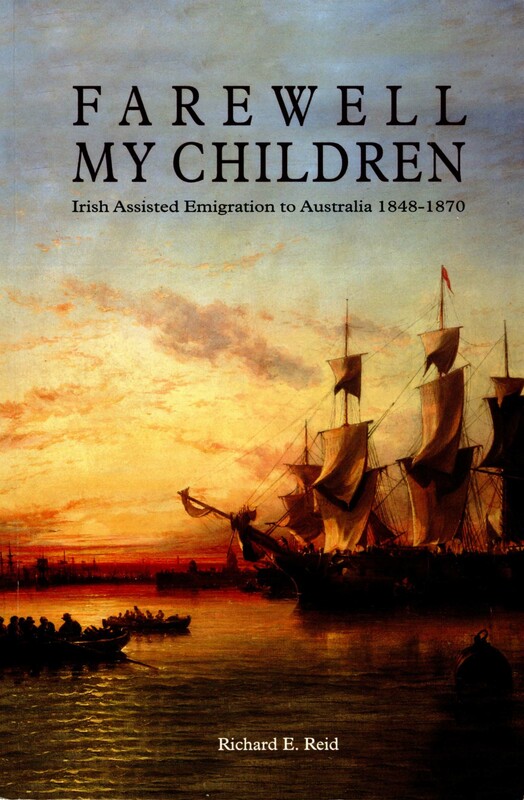 Farewell My Children: Irish Assisted Emigration to Australia 1848-1870, Reid, R. Anchor Books, Sydney 2011. Life and Death in the Age of Sail: the passage to Australia. Haines, R, UNSW Press, Sydney, 2003. Oceans of Consolation. Fitzpatrick, D. Melbourne University Press, Melbourne 1995. Visible Immigrants: Neglected Sources for the History of Australian Immigration. Richards E, Reid R, Fitzpatrick D. ANU, Canberra 1989. Visible Immigrants 2: Poor Australian Immigrants in the 19th Century. Richards, E (ed). ANU, Canberra, 1991. Visible Immigrants 4: Visible Women, Female Immigrants in Colonial Australia. Richards E (ed), ANU, Canberra, 1995. [i] Visible Immigrants: Neglected Sources for the History of Australian Immigration. Richards E, Reid R, Fitzpatrick D. ANU, Canberra 1989, pages 36-38.